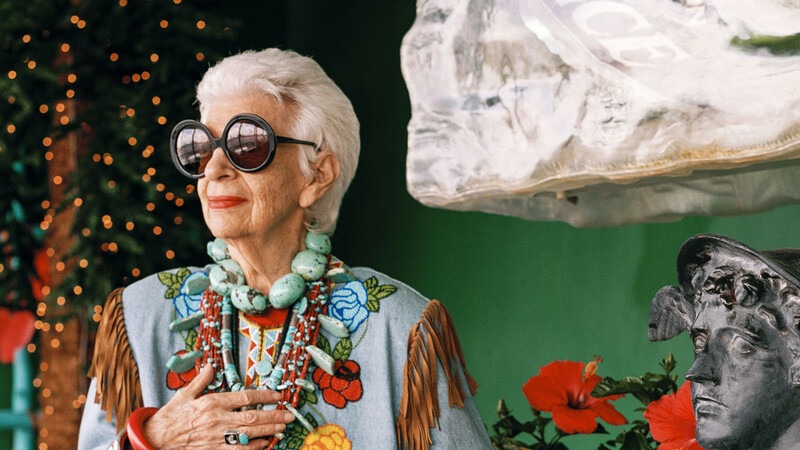 I saw the movie “Iris” last week, an Albert Maysles documentary about the very spectacular ninety-year-old designer and fashion icon Iris Apfel. 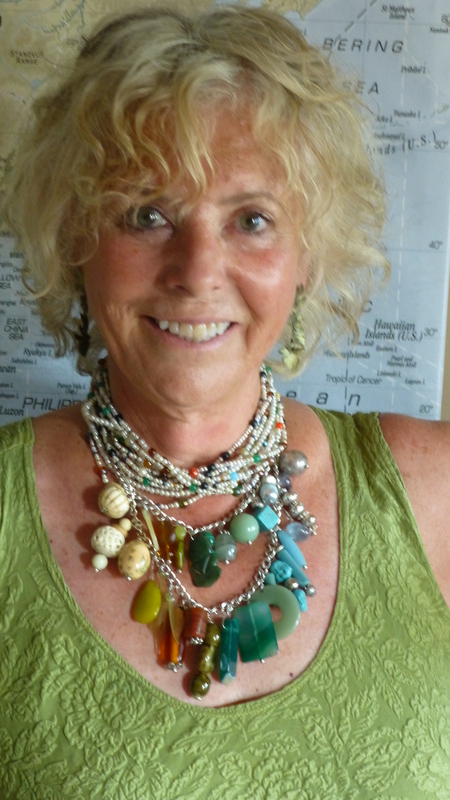 One of her trademarks is the layered necklace, or rather, layers and layers of necklaces. Thus inspired, I decided to do a bit of layering myself. Here is a pearl and many-colored choker that I made about twenty years ago, paired with a tiered chain with giant stone, glass, and bone dangles that I made last year. Got a lot of compliments in downtown! I think Iris would approve. Here she is in one of her brilliant stacks. Sometimes she just has a zillion strands wrapped ad infinitum around her neck. I’m working up my nerve to become exactly that bold when I’m ninety. Meanwhile, the movie is a must-see for beadophiles and jewelry fans. You’ll end up stringing your popcorn. Your Blob is inspirational. Just the right amount of print. Well-balanced photos to accompany it to round to the inspirational story. You rock. Ooh! You’ve inspired so many designs. You rock, too!